On your device the bootloader must be unlocked!!! Flashing a custom recovery is always risky. Make a backup of your current recovery first! I will keep this thread updated once the new releases arrive. Or simply install a IMAGE in your current TWRP version. 1. Choice English language at the first start of TWRP. What are the odds this recovery will work on a ME302C ?? From what I read the internal are quite similar aside from a SIM/GSM modem addition. Unfortunately the devices are on different platforms. So my TWRP build can not be used as source for your device. After doing this, nothing really changes as far as I can tell. I manually reset my tablet by holding onto the power button. 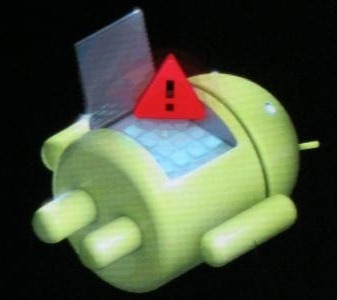 When I hold onto the power button and volume up (or type in adb reboot recovery from CMD prompt), it shows the android on its back with the red triangle exclamation mark logo like this - https://i.stack.imgur.com/kcSE4.jpg. I can hold onto the power button to reset and its fine OR I can hold onto power and volume up and down at the same time, it takes me to the Android System Recovery menu where i can reboot, apply update from ADB, wipe data/factory reset, or wipe cache partition.